Throw the corned silverside in your slow cooker in the morning and you'll come home to a delicious home-cooked meal. Corned beef gets its distinctive flavor from the brine of salt and pickling spices it is cured in. 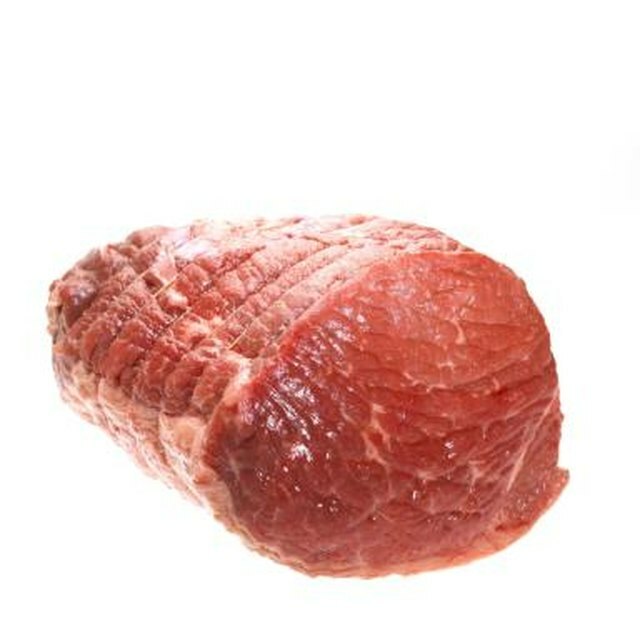 Silverside is a term used in New Zealand, Australia and several European countries to describe the cut of beef known as the bottom round in the United States. 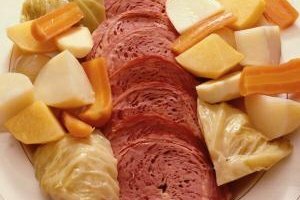 It is the choice cut for corned beef in those regions, so much so that the terms corned silverside and corned beef are used synonymously. The low and slow heat of a slow cooker is ideal for corned silverside. This relatively tough cut of meat will be transformed into a tender and delicious main course. Place cubed root vegetables, if using, in the bottom of the slow cooker. Try any combination of carrots, celery, onion and potatoes. Rinse the corned silverside under cold running water. Pat dry with paper towels. Place the meat on top of the vegetables in the slow cooker. Add desired seasonings to the slow cooker. Try any combination of brown sugar, vinegar, bay leaves, cloves, peppercorns, mustard seed and allspice. Pour a can or bottle of beer over the contents of the cooker, if desired. Gently pour water or beef broth, or a combination of both, into the slow cooker. Add just enough liquid to barely cover the meat. Turn the slow cooker on the low heat setting. Put the lid on and cook the corned silverside for eight to 12 hours, or until tender. Add the cabbage wedges, if using, to the slow cooker during the last 45 minutes that the meat is cooking. Make sure that the cabbage is tender but still a bit crisp.. Remove the corned silverside from the slow cooker. Cut it into thick slices for serving. Remove vegetables with a slotted spoon and serve them as a tasty accompaniment to the meat. If pressed for time, you can cook the corned silverside on the high heat setting for four or five hours. Reduce the cabbage cooking time to 30 minutes on high heat, if using. Leave the lid on the slow cooker as much as possible when cooking. Escaped heat can drastically slow the cooking process. Serve the meat and vegetables on a platter with a bit of the cooking liquid drizzled over the top. Serve with mustard sauce and Irish soda bread for a comforting dinner. You can also use corned beef in a hash and serve with scrambled eggs, or on Reuben sandwiches. Most Reuben sandwiches include rye bread, Swiss cheese, sauerkraut and Thousand Island dressing.